Ravi Flour Mills started its operations in 1981 and recently have celebrated the 37 years of continuous struggle and success. Now, with the increase in demands, we have two flour processing plants established at Bund Road Lahore. We are leading the market by focusing on quality and natural taste of the flour. Ravi is doing more than supplying abroad, everyday local consumers and wholeselling establishments; they’re also continually striving to improve their processes, enhance the already premium quality of their brand and invite more people to enjoy their products. We are ensuring that our consumers continue to receive the same quality that Ravi is renowned for and at a highly competitive price, which is a key consideration for the company. Ravi Mills always place the first priority on customer satisfaction and spares no effort in attaining the position as a leading company in the industry by presenting new values and ideas that can be accepted by the society and economy undergoing drastic changes. At the same time, Ravi Flour Mills will aim at making further progress by revitalizing corporate activities and diversifying its business within and outside Pakistan. 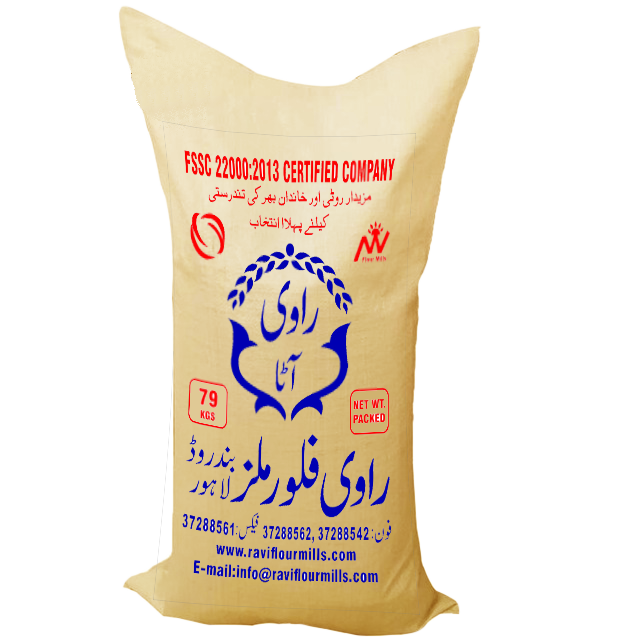 We carefully select our suppliers for the best quality wheat, from all across Pakistan. Our agricultural country has so much to offer, and Ravi is trying to get the most out of it. We make sure our suppliers have a healthy and better wheat production, and that they are compensated for it enough. 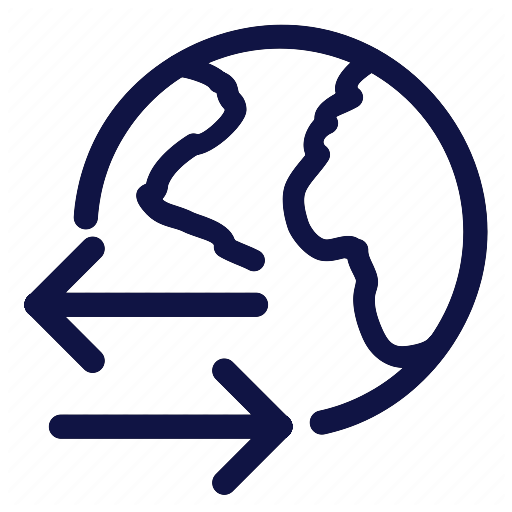 Because our focus is on maintaining long term relationships with our supply chain members. After the perfect grains of wheat are selected, the next step is grinding them in our top notch flour milling facility. We make sure only the highest quality of the flour gets packed in the containers, so we can gain the trust of our each and every type of customers. The heavy equipment carefully presses over the sun dried wheat grains and makes them easily consumable all-purpose whole grain flour. After that, the flour is then categorized depending upon its texture and weight. The wheat Bran, Wheat Atta and Super fine Atta are separated. Each of them are then packaged carefully to make sure the right people get the right kind of flour exactly milled for their specific needs. After the flour grinding process is complete, the packaged units are stored in our facility ensuring it stays fresh and consumable. The storage conditions are met with the safety requirements of many quality assurance policies, because we prioritize our consumers first. The flour is then distributed all across the major cities of Pakistan. The variety in packaging sizes lets us target various segments including household buyers, commercial buyers, wholesalers etc. After the local demand and supply of wheat is balanced, we don’t stop. We move forward to share the unique grounded wheat flour with our neighboring countries interested to import the goodness of Pakistani Wheat. We believe sharing makes us better, and our wheat gives flavor not only within but also outside our national boundaries. Ideal for tandoori naans.Having good water absorption and color it. Not only our main concern is quality flour goods, but we also aim to capture trust of our export clients and distributors. 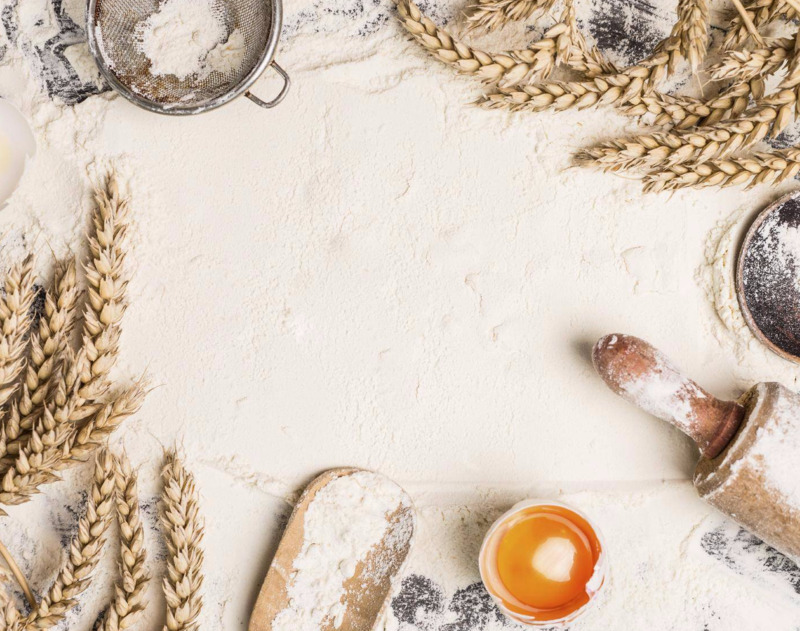 We are working hard to make sure most of the important bodies of certifications align with our company operations so that we go above and beyond a normal wheat flour mill status. It is our moral and legal responsibility to produce safe products as a food manufacturing company. 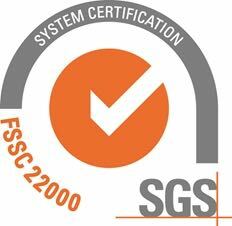 In accordance with our core values, we always strive to meet even higher standards by adopting FSSC 22000 food safety systems and certifications where appropriate. 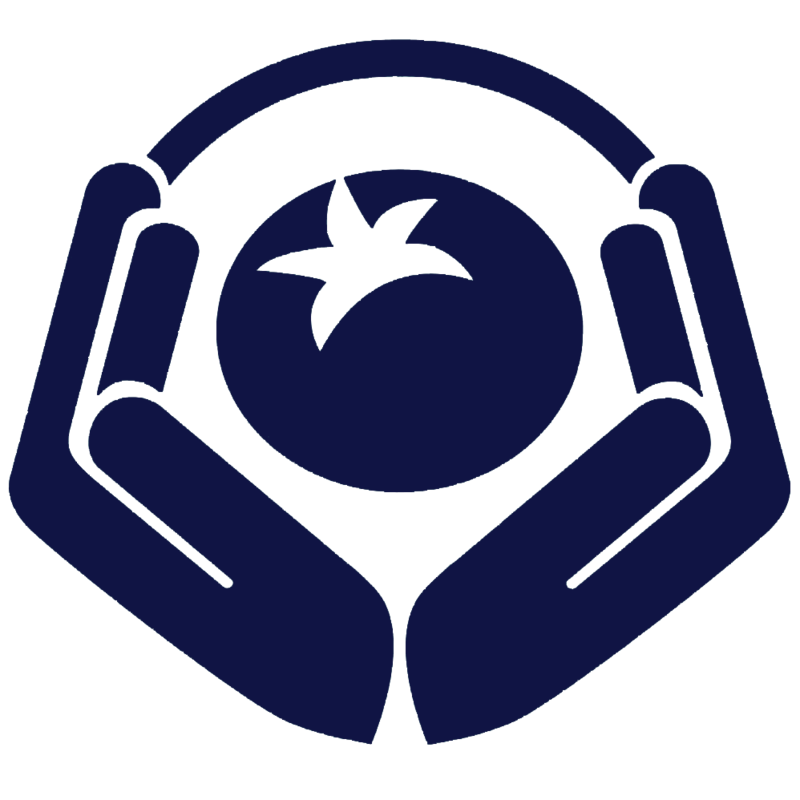 The FSSC (Food Safety System Certification) provides a benchmark for food safety standards and also recognized by 140 countries around the globe. 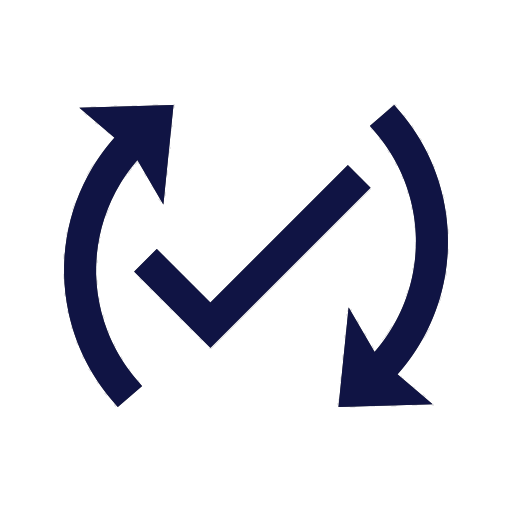 The FSSC manages an accreditation process for the organizations seeking to get certification. 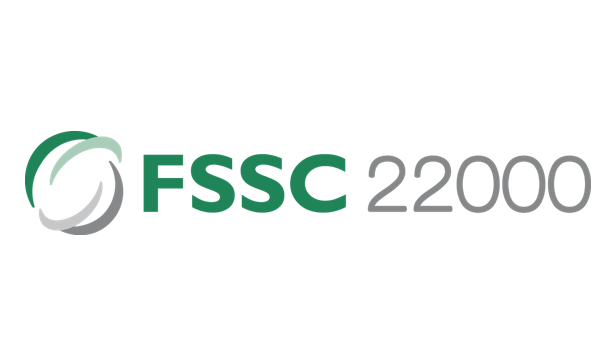 We, Ravi Flour Mills, have the honor that we are certified by FSSC 22000-2013. Our process of making flour is also inspected and verified by SGS (Société Générale de Surveillance). SGS is the world’s leading inspection, verification, testing, and Certification Company. They are recognized as the global benchmark for quality and integrity. Recognition from that institute is a great achievement for us. It is also our competitive edge in all other flour producers. 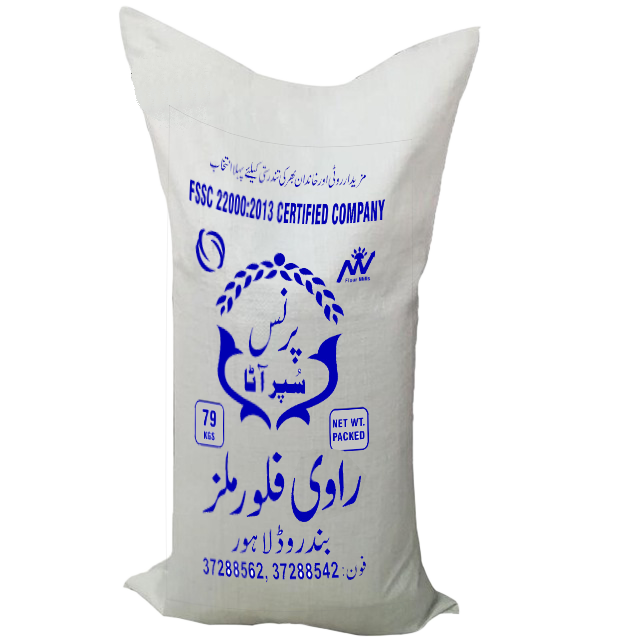 Ravi Flour Mills was established in 1981. 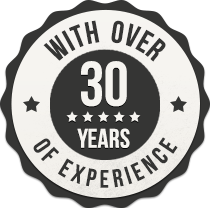 Recently we have celebrated our 37 years of continuous success. With the aim to strive for quality and excellence, we have become a name of trust with the passage of time. We strive to be a strategic partner with our clients by leveraging our expertise and experience to provide innovative, responsive and cost-effective products and services. We strongly believe that our own success is directly derived from the success of our customers. Using our standard manufacturing facilities, we are stably supplying high-quality products every day, taking food safety and reliability into consideration. We have also established our own wheat silos. Because in the flour milling industries, storage capacities mean a lot in order to maintain the stock in bulk. Keeping the stock secure and in good condition physically, environmentally and legally is our first priority to make sure it reaches our customers in a safe and healthy condition. We are working to stabilize our product supply and enhance our cost competitiveness. The storage capacity expansion is aimed at increasing our capability to supply flour and at making our supply system rock solid. The gradual increase in capacity buildup will further stabilize our flour supply. The wholegrain rich fiber content wheat flour, Ravi Atta ensures rich supply of nutrients for everyday kitchen needs. It is available in 10kg and 79kg variants. We at Ravi flour mills believe when we are exporting we are representing our nation. Ravi flour mills has been a major exporter in Agri-Products to neighboring countries. Our sustained orientation in exports since inception is reflected in recognition as “distinction” accorded by Flour mill association Pakistan. 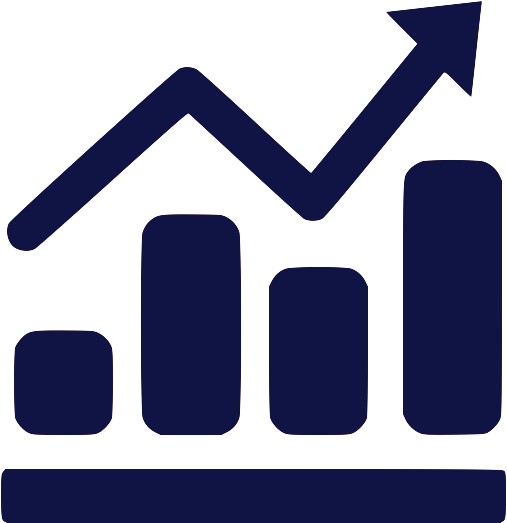 We have trained executives to handle exports assignments efficiently and to service export orders to the entire satisfaction of overseas buyers. Our processing facilities are equipped with the latest technology and operated under specifically designed guidelines to meet the most stringent quality norms. Our research and quality control team, which forms the biggest part of the group, monitors every aspect of the chain round-the clock to deliver the quality promise. 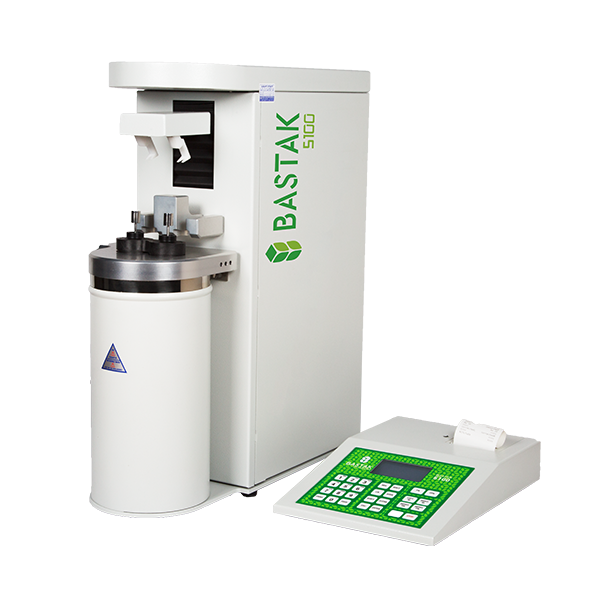 This device is Bastak branded and its model 4500. It is a laboratory type double passaged mill. 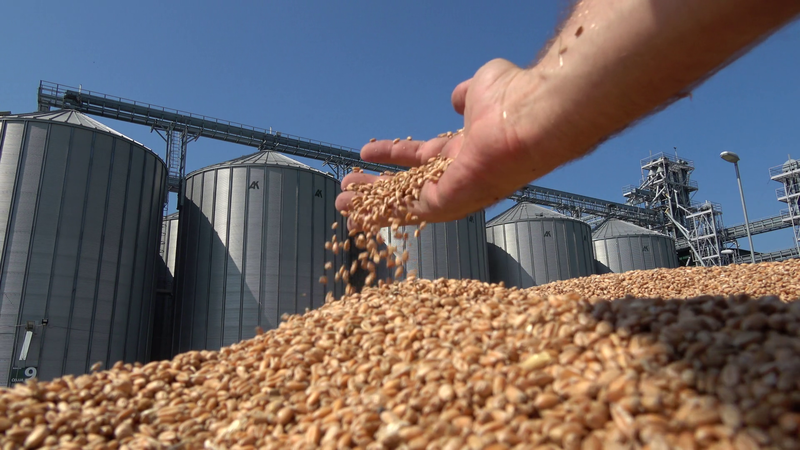 It is used to determine the quality of the wheat which will be used for flour production. You can get very similar flour like a factory flour It is used for both dampened and undampened wheat grinding. It is the mixture laboratory mill that enables making necessary modifications and amendments by predetermining the values of the flour to be ground in the factory. The device consists of two parts as crushing and liso. The wheat milled and divided into three parts as flour, bran(sharp) and semolina by passing through three fluted roller at the crushing section. Flour and semolina collected into different drawers by two 160 μ and 800 μ sieves and bran(sharp) taken from the front side of the device. Company got informed about the capacity of semolina of wheat right after crushing. Semolina which passes through between two flat rollers divided as flour and bran by 160 μ sieve. Harmed amylum amount can be controlled by adjusting the distance between soft rollers. 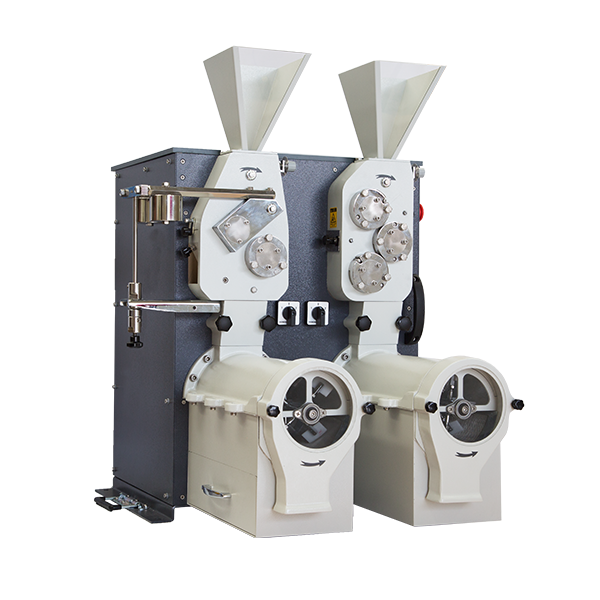 The device has the capacity of grinding at 600 gr/minute, can be operated 65 %-75% flour efficency, depending upon the wheat quality. Physical, chemical and rheological ( water retention and energy graphics ) analyses can be done on an obtained flour correctly. The outside dimensions of the device are 860x740x650 mm and its net weight is 110 kgs. The device is Bastak branded and its model is 5100. The device automatically measures enzyme activity in flours and wheats. FN measuring mode is used for determining natural alpha amylase enzymes. FFN measuring mode is used for determining total (micro-biological + natural) alpha amylase enzymes. The device automatically adjusts the boiling temperature according to the altitude. At the stage of installation company information: company name, company address, company phone, fax numbers and web are saved in the device. The names of the samples to be tested can be entered. On every printer output, the company information is included together with the results. When the same sample is tested, the average value can be calculated. The device also determines the malt amount to be added into the flours. 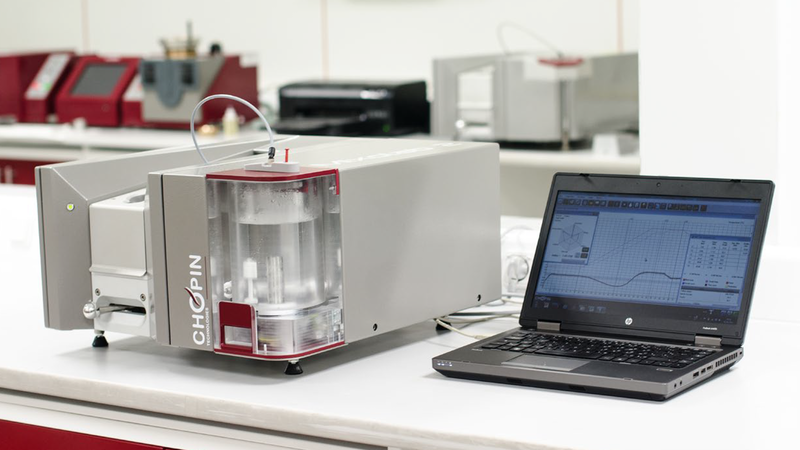 It automatically calculates the mixing rates in flour and wheat samples. 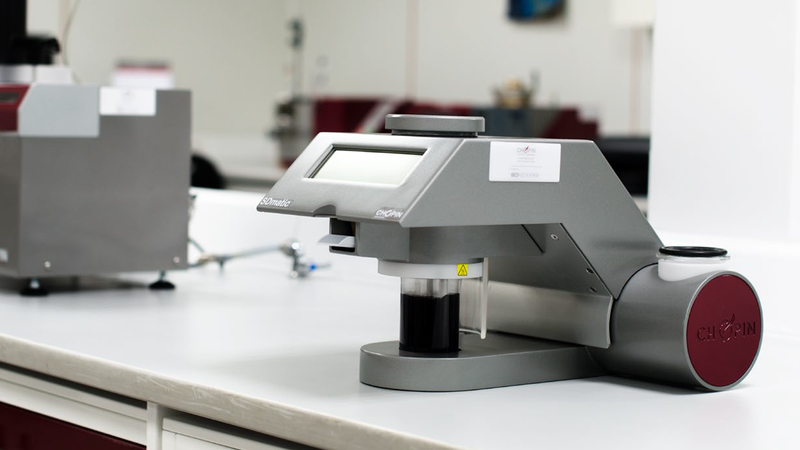 When the moisture values of the samples are entered into the device, it gives the sample amounts to be weighed for testing as (g) grams . If the sample amounts are not corrected, it can correct the measuring values obtained as a result of the test according to the moisture. It can calculate the liquefaction coefficients of the samples. The device shows both the normal measuring values and corrected values according to the altitude on the printer output. The device has blue graphical LCD screen. The device has 28 function buttons. On the screen of the device, date, hour, ambient temperature, sample names and operation status of the device (running, printing, stop… etc.) can be displayed. The outside dimensions of the device are 550x470x190 mm and its net weight is 27 kg. The device is Bastak branded and its model is 2100. Gluten Index is used in determining the quality of wet gluten. In this way, it is possible to separate into the groups the samples of wheat and flour according to the qualities of wet gluten. 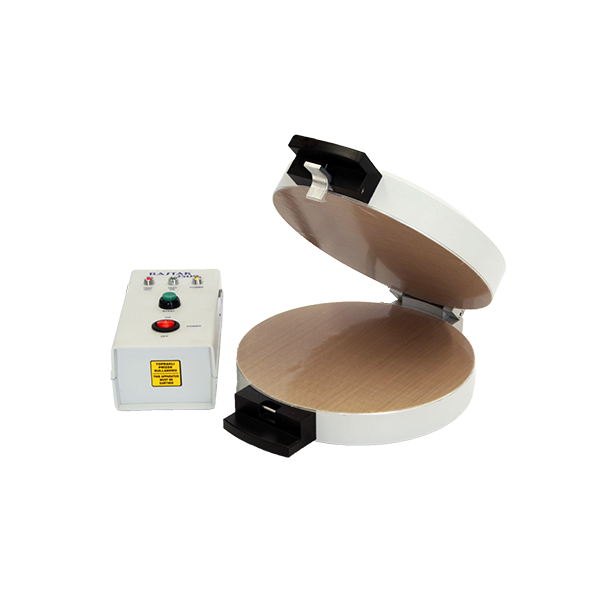 Furthermore, the device gives opinion about the sunn pest destruction of the samples of wheat and flour. The device is controlled by the micro-processor. The device has a blue LCD screen. The device has 6 function buttons. On the device’s screen, date, hour, environment temperature, test duration, device operating revolution and operation status of the device (ready, testing, stop...etc.) can be displayed. The device has to reach to 6000 revolution that is the world standard in 8 seconds and has to operate in 6000 revolution during the remaining 52 seconds period. It doesn’t operate until the cover is closed due to the security system on its cover, and a warning is displayed on the screen. Furthermore, the cover is locked automatically after it starts to operate. It automatically stops with the braking system after operating period and gives audible warning. The outside dimensions of the device are 200x210x300 mm and its net weight is 8 kg. The device is Bastak branded and its model is 6000. 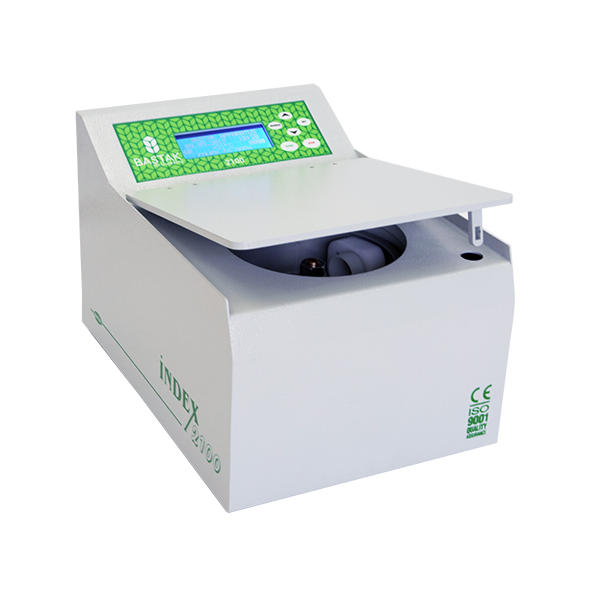 It is used to determine the amount of wet gluten in wheat and flour samples by extracting wet gluten. The amount of wet gluten of 2 samples can be determined concurrently. The device is full automatic. 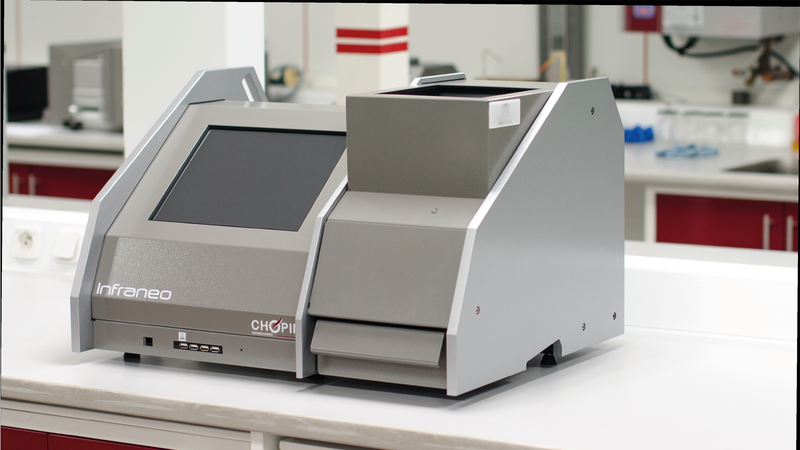 If required, in order to determine the amount of wet gluten in special samples, the kneading period of the device can be extended from 20 seconds to 63 seconds and the washing period from 5 minutes to 8,5 minutes. The device can also test whole meal. On the device, there is “mix” light that is on during the kneading periods and “wash” light that is on during washing periods. Moreover, there are "start/stop", "pause" and "reset" buttons. 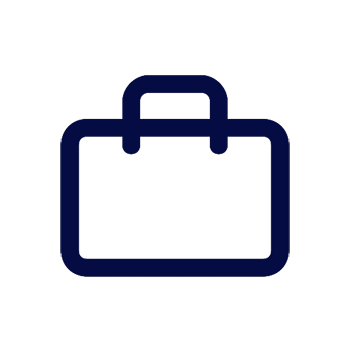 The outside dimensions of the device are 320x300x320 mm and its net weight is 23kg. The device is Bastak branded and its model is 2500. 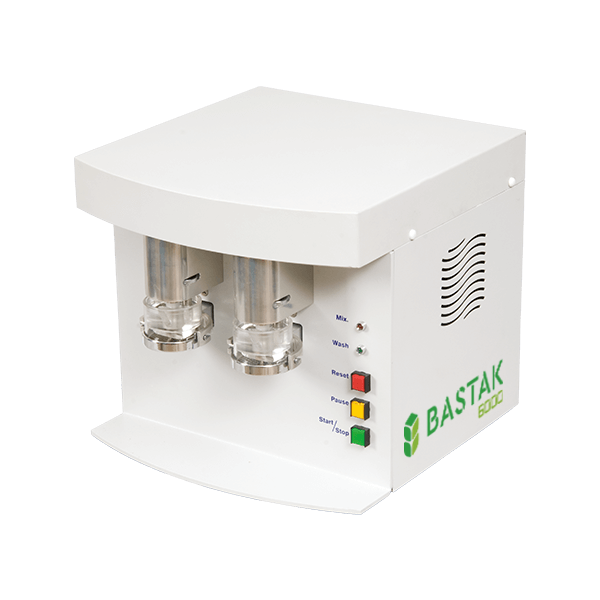 The dry gluten apparatus is used in finding the final and net dry gluten values of the samples of flour and wheat. Especially, the values of the dry gluten may be different although the wet gluten values of various wheats and flours having different water absorbtion are same. The device is controlled by micro-processor. There are 3 warning lights on the control panel, being power, test on and test off. There are thermostat warning light on the device. The device automatically adjusts to 150 oC that is the operating temperature. When the device reaches to 150 oC, the thermostat warning light turns off. The device automatically stops at the end of the testing period of 4 minutes and gives out visual and audible warning. The heating surfaces are coated with teflon in order to prevent the samples from adhering. There is a cover lock. The outside dimensions of the device are 250x90x200 mm and its net weight is 1,7 kg. Each of us at Ravi Flour Mills has a moral obligation to safeguard each other and our customers by aspiring to operate a safe, injury free and healthy workplace manufacturing food that is safe to eat. Out primary concern is that the food we manufacture is prepared to the very highest standards using quality products and ingredients and as the very minimum we will comply with all relevant legislation and approved codes of practice. Food is always prepared using sanitary conditions that do not expose it to the risk of contamination. All employees are provided with the information, training and tools necessary to do their job in a hygienic and compliant manner. Measurable Food Safety Objectives are planned, set and monitored by top management to ensure that the organization's food safety policy is maintained and communicated by RFM staff at all levels within the organization, suppliers, and customers for continual improvement. 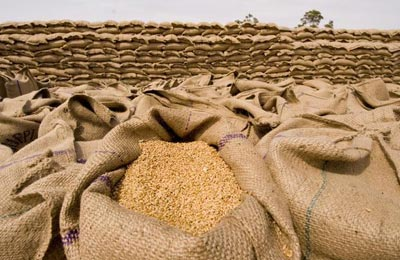 With our trading and logistics expertise, and the feedback from our mills, Ravi Mills can offer expert advice on wheat grain prices, and grain milling characteristics of wheat from various origins, giving Ravi a unique competitive edge in the market that is hard to match. 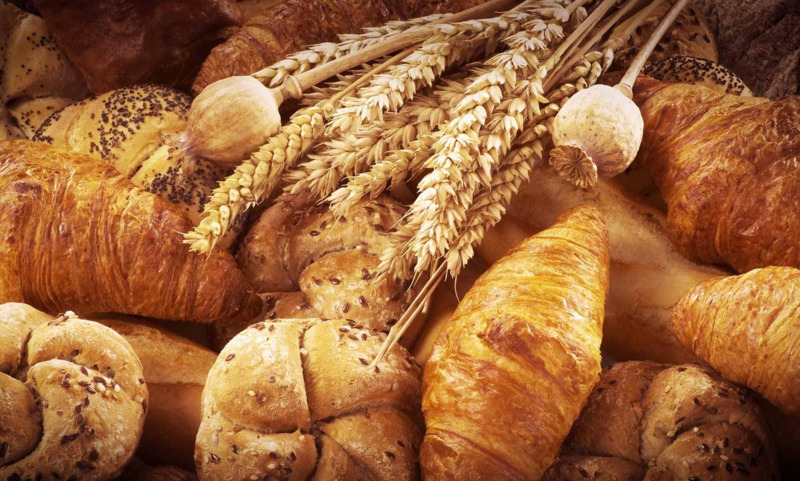 Ravi has the advantage of business synergy in analyzing and carry out wide range of products tests on wheat from all over Pakistan before further processing. 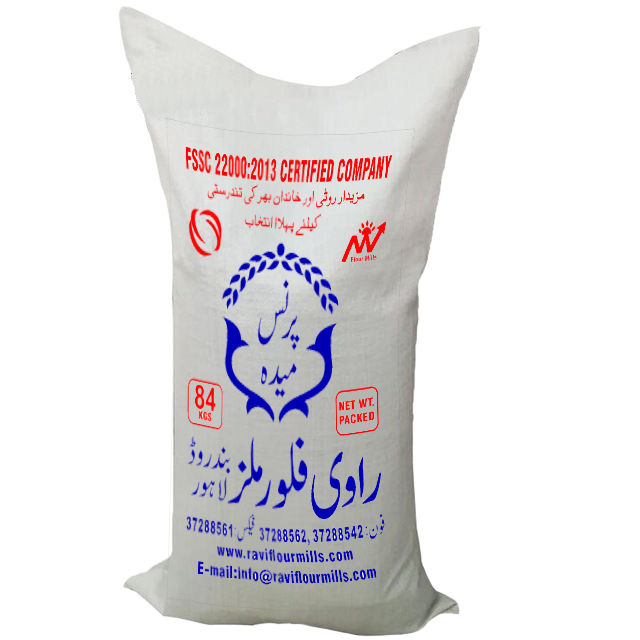 With more than 40 years experience in flour milling business, Ravi Flour Mills Ltd are able to impart our knowledge to our customers to assist them in achieving the highest quality in flour products at minimal cost. With our expertise and technology, we are able to recommend and mill the flour according to customer's specific requirements. We continue to research and develop safe and reliable wheat products and manufacturing technologies, while responding flexibly to constantly shifting market trends. We will continue to explore eagerly anticipated possibilities for healthier and longer lives. To strive consistently for better quality and healthy flour, our main aim is to never lose the trust of our customer. 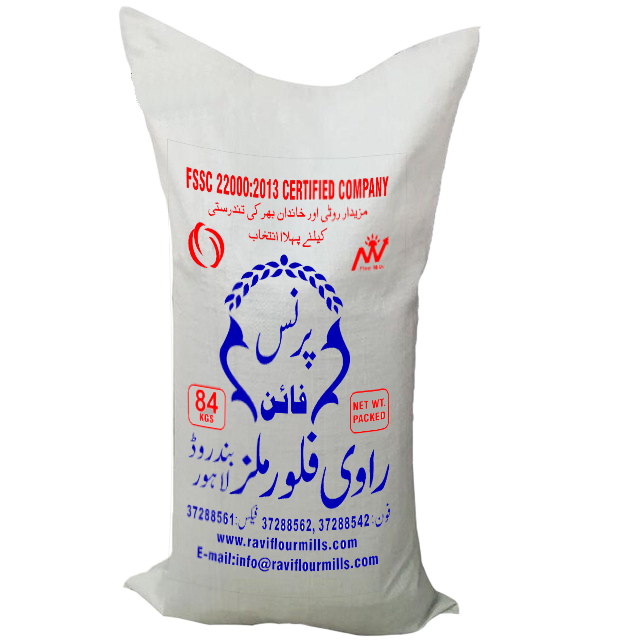 To supply desired products in Flour category, without any shortage to the final customers. To engage in innovative technology for production and distribution of flour. To control the quality check measures for superior flour supplies. Our employees are the most valuable assets of our organization. We encourage the culture of self reliance and empowered employees, which in turn give their best by contributing to the organizational objectives. We choose them wisely and then take care of people becoming part of our organization. Our employees are committed to the vision of our Ravi Flour Mills organization, and continually progress towards their potential. They relate to the motto of hardwork is the key to success, because they know the success of ravi is equivalent to their own individual successes.